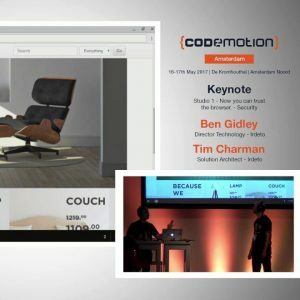 In May Tim Charman and Ben Gidley presented a talk at CodeMotion in Amsterdam showing how you can use obfuscation, whitebox and integrity verification to secure communications from the browser even in the case of a man in the middle attack. This entry was posted in Evolving security. Bookmark the permalink.